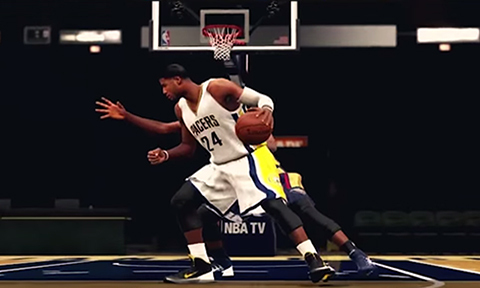 The upcoming basketball video game NBA 2K16 will have 32 new backdown animations to help tall players dominate their opponents in the paint according to Zach Timmerman, a producer of NBA 2K. NBA 2K16 launches on Sept. 29 for PlayStation 3, PlayStation 4, Xbox 360, Xbox One and Windows PC. Stephen Curry, James Harden and Anthony Davis will star on the covers. A special edition featuring Michael Jordan will also be available.